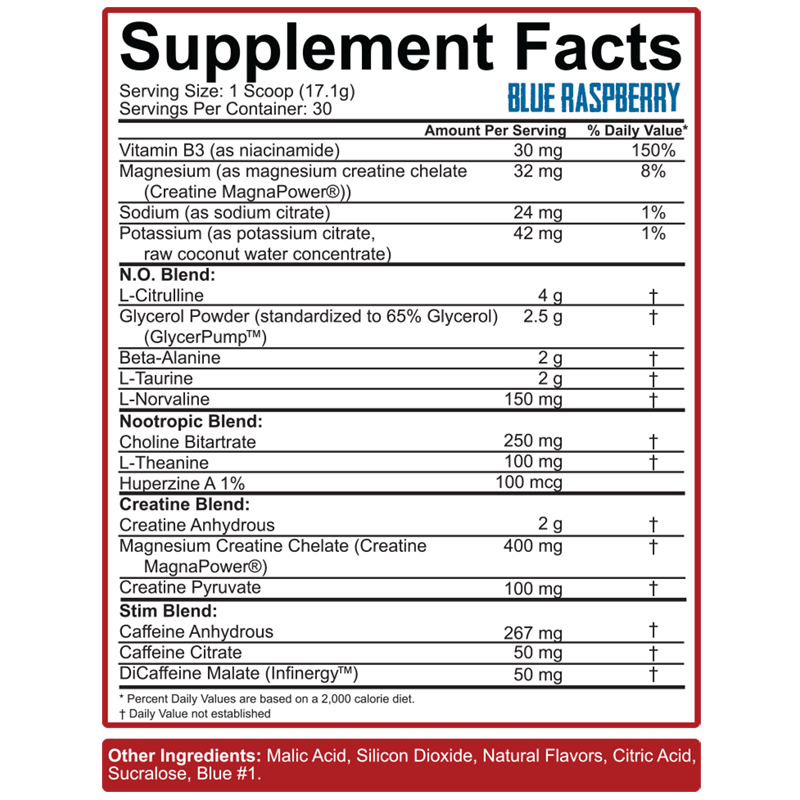 Now with 325 mg total caffeine from Caffeine Anhydrous and Caffeine Citrate for a faster hit of energy, as well as InFinergy™ Di-Caffeine Malate, a buffered form of caffeine that’s 75% caffeine and 25% malic acid for quick energy with no stomach discomfort. 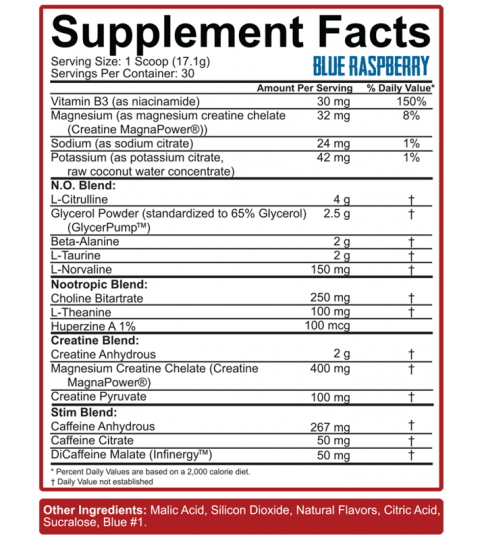 This version of caffeine extends the energy effects yet reduces the chance of “the crash” so you can KILL IT in the gym for as long as it takes and still have tons of energy at the end. Are You Ready to Kill Your Workout? 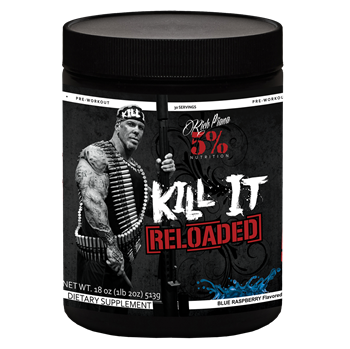 Kill It Reloaded – Whatever It Takes.